DC Comics Maxi Poster: If you were Batman which set of wheels would you opt for? This poster shows the evolution of the famous Batmobile which has developed alongside the superhero, adapting with the times. 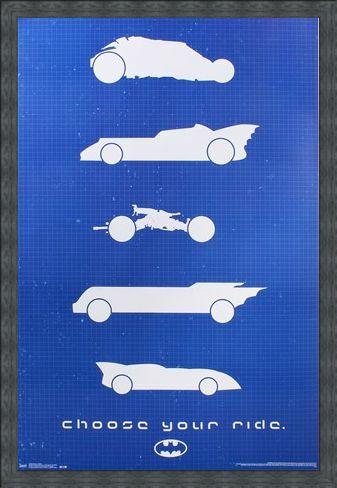 According to DC Comics, Batman's car can be accessed via a secret entrance in a cave. The car's epic gadgets enables this DC superhero to fight crime...in style! 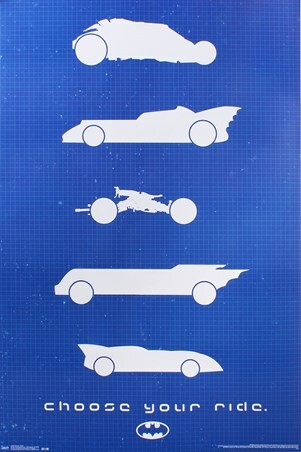 The deep blue grid background is the perfect back-drop for the while silhouettes of these awesome car models. 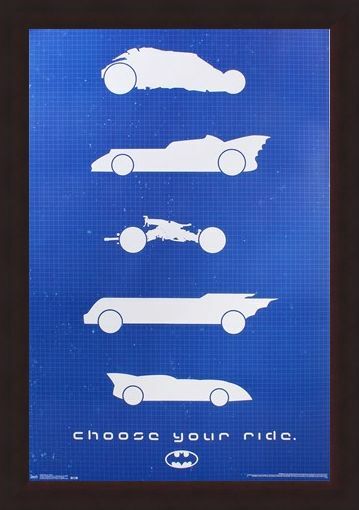 Hang this poster on your wall, "choose your ride" and save Gotham City from evil criminals. High quality, framed Choose Your Ride, Batman poster with a bespoke frame by our custom framing service.